There was a severe and fierce battle between Kႈachin patriotic soldiers and Burmese Government army in Na Lung, Hka Ra and Bum Re, which is on the way of Myitkyina - Ba Moh road, under KIA (5) Brigade area on 29th December. 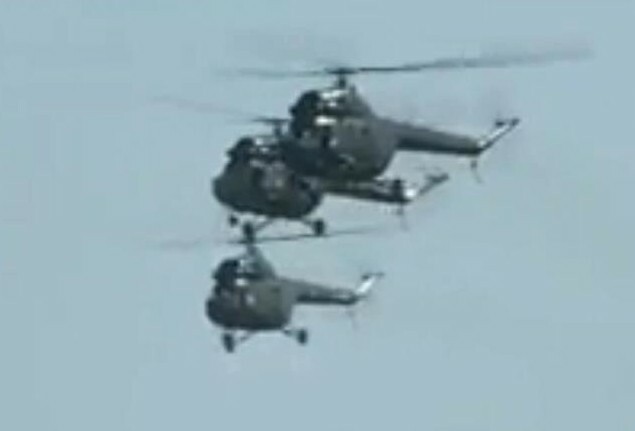 During the battle, Burmese Government used Military jet fighter, helicopter and firing with bio-chemical weapons. Over (40) KIA soldiers has been poisoning. Burmese Government fired with jet fighter three times: at 11:40 noon, 04:00 PM and 05:30 PM. Today battle, KIA shoot down one of the jet fighter with AA-Gun and 3 officer including Captain Kyaw Swa Aye and over 60 Burmese soldiers were killed. Jet 1 ram shakrip kau lu yang gaw ..Ah Raaaa Looo... re na re.. Yaw tik tik di ga K.K an hte hte rau re. what is the result of this war...those who want to win the power will end their life by struggling with this power. May our Big Big Lord Kachin people form this tyranny..
May the army of our Lord war against with Kachin people to bermese brutal soldiers. gasat tik tik di u ,hpang kaw nanhte a matu K.K kaw akyu hpyi ya ding yang rai nga ai. KIA/O don't give up God is with you as I am.this Burmese army are mother fucker. My prayer is with you KIA.never give up. rai dik jaw dik ai ten sha gu KK kaw manoi manat let myusha awm dawm shang lawt lu hkra chawm shakut na a ten she rai sai mung dan shagu hta du nga ai myu sha ni yawng mung dang di dang dep ai ma de shang lawm shamu shamawt na ten rai sai usa kaw du nga ai ni e, gum san O Burma wa sa chyai ngut ai hpang she majan grau laja wa ai gaw kara hku rai kun loi gaw koichyan yu yang ka ja na re law. myen hte hpyen ma sa chyawm sha man ai hpe mung ning hkap ra na re. Miwa, Gala ni hpe mung myen hpe latnak n,dut jaw na matu ning hkap galu oi. Hello...i think we have some regimes' dogs trying to comment on Jinghpaw Kasa post..why don't you guys go and comment on your papa's Myanma_a_lin or KyaeMon newspaper..what scare?..haha..KIA post, everyone can comment good or bad..Government post?..i don't think so..so who shows more sign of democracy?..there you go regime's dog..if you have guts, go comment on your won posts..and come get some bones from your papa generals.. I pray for you. Be ye strong and courage the Sun will shine one day in Kachin State. The wrath of the Almighty God is pouring soon to punish the wicked Myanmar Army. God bless Kachin Independent Army and Kachin People!! JINGHPAW KASA BLOG hpe sa du n gun jaw nga ai Wunpawng Myusha ni yawng hpe na chying wa chyeju dum n ngai. N hkum n zup ai lam ni law law nga na re, ra rawng ai lam ni hta hpaji jaw la rit ngu yawng hpe lajin dat n ngai.